There’s an old saying that opposites attract, but it’s the similarities that bind. 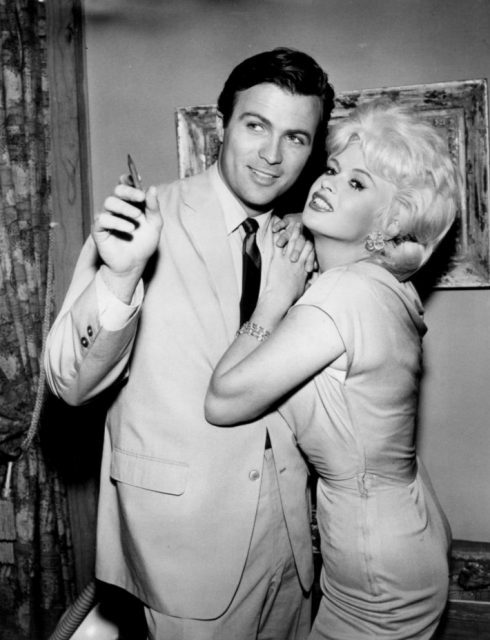 Jayne Mansfield, a Hollywood blonde bombshell of the 1950s, and Church of Satan founder Anton LaVey came from two entirely different walks of life, but they had one similarity that drew them together: they both desperately sought publicity. The pair reportedly met in 1966 and remained friends until her untimely death in 1967 from a tragic car accident. An accident that LaVey himself said was due to a curse he set on Mansfield’s then-boyfriend Sam Brody. 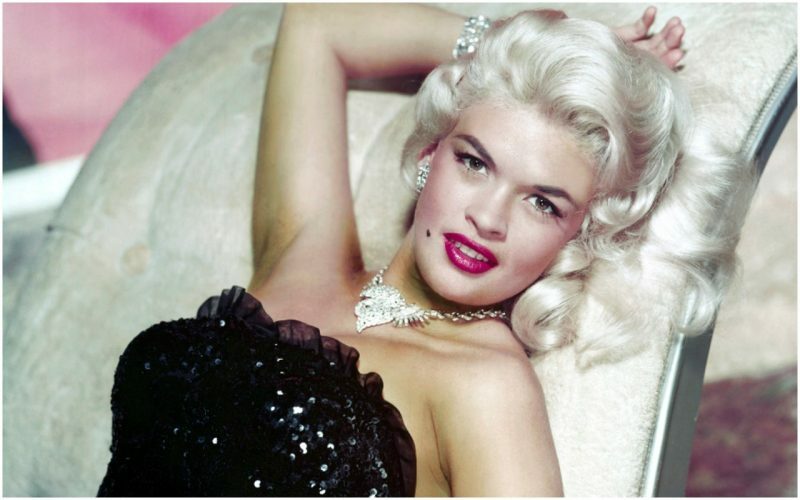 In the late 1950s, Jayne Mansfield may have portrayed the dumb-blonde role on the big screen, but off screen she was an intelligent, well-educated woman who reportedly had an I.Q. of 163. She studied at a few universities, spoke five languages, and dedicated herself to her acting studies. 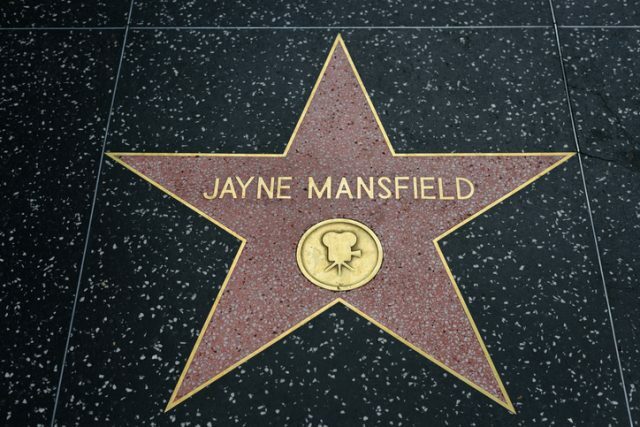 When the 1950s came to an end, Mansfield’s acting career ceased along with it. Her rise to fame lasted only a few short years before filmmakers in Hollywood were no longer interested in casting big-busted Marilyn Monroe types for their films. It might not have mattered that much to the actress, as she was creating long-lasting impressions from her publicity stunts and sexual affairs more than her acting performances. In fact, she felt it was essential to be as open as possible to the public. By 1966, Mansfield was considered a box-office has-been. With three failed marriages, five children, and countless intentional wardrobe malfunctions, Mansfield was running out of ways to feed her constant hunger for attention. 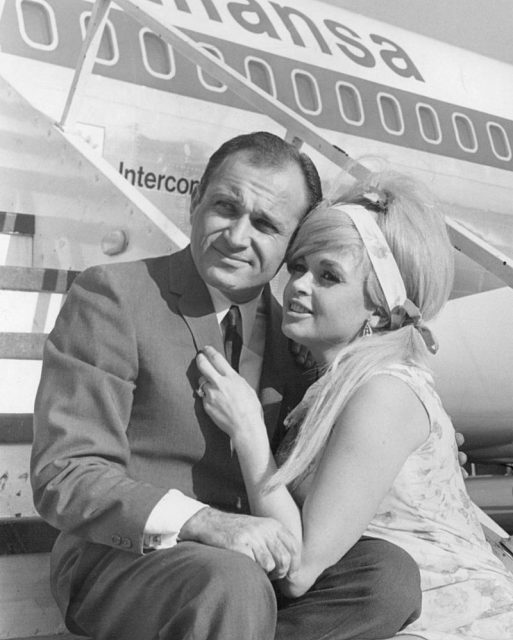 To no avail, Mansfield made headlines when she showed up at the San Francisco Film Festival on October 20, 1966. According to the festival’s general manager, David Sacks, he claims she wasn’t invited in the first place. 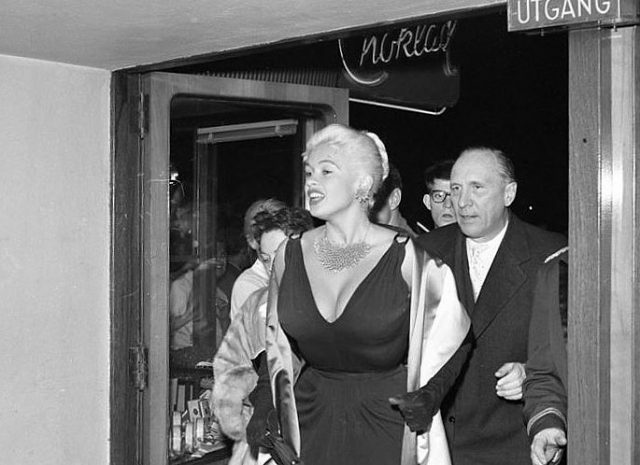 Mansfield was told to leave the film festival after she showed up in a revealing side-less pink dress that left little to one’s imagination. 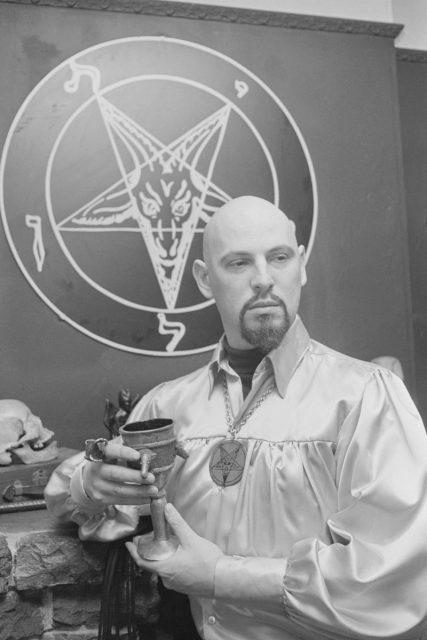 Accounts of how and when Mansfield met San Francisco’s infamous occult leader Anton LaVey vary. According to one story that approaches urban legend, the two met after she left the festival and showed up uninvited to the Church of Satan, a.k.a The Black House. During the mid-1960s, Anton LaVey was making newspaper headlines for his publicity stunts, gaining fame throughout San Francisco for his live paranormal events and performances. He began hosting parties and eventually many well-known people in San Francisco became regular attendees to his weekly Friday night occult themed lectures. To some people who witnessed ritual practices inside his black-painted Victorian home, LaVey was more of a showman than a credible satanic leader. Like Mansfield, LaVey thrived on attention and reaction. When Mansfield showed up to the Church of Satan, it was the perfect time for LaVey, who was eager to gain both publicity and new members for his satanic church. LaVey welcomed Mansfield with open arms into his circle and she was ordained as a high priestess. Whether their initial plans solely began in an attempt to create a media-frenzy, Mansfield and LaVey sparked a close friendship that, as rumor has it, wasn’t strictly platonic. 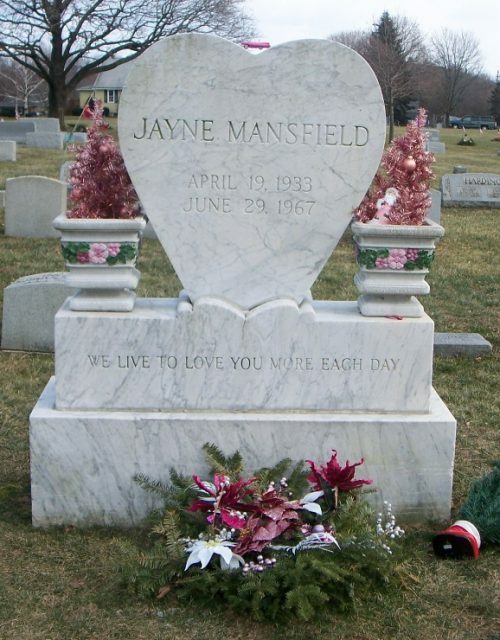 During the time Mansfield was associated with LaVey and the Church of Satan, she was dating her attorney, Sam Brody, whom she hired for her third and final divorce. Brody was reportedly an abusive and jealous man who wasn’t shy about showing it. He openly mocked LaVey and ridiculed him over his occult practice. On November 23, 1966, Mansfield took her family to visit Jungleland Zoo in Thousand Oaks, California. What started out as a fun family outing turned nearly-fatal when a “tame” lion attacked and mauled Mansfield’s six-year-old son, Zoltan. He was rushed to the hospital and underwent three surgeries, including a six-hour brain operation. A panicked and distraught Mansfield quickly called her friend LaVey and told him of the news. LaVey reportedly traveled to the top of nearby Mount Tamalpais and performed a Satanic prayer in hopes of saving Zoltan’s life. The boy made a surprisingly quick recovery which Mansfield credits to LaVey. In a successfully calculated publicity stunt, Mansfield and LaVey invited their photographer, Walter Fischer, into Mansfield’s enormous pink palace in Hollywood. Fischer took photos to document the pair and their new friendship and religious ceremonies for magazines and various tabloids. Growing more jealous, Brody tried to impose rules to distance Mansfield from LaVey. A few months after LaVey cursed Brody, on June 29, 1967, Mansfield was traveling to New Orleans with Brody, their driver Ronnie Harrison, and three of Mansfield’s children. It was around 2 a.m. when Harrison crashed into the back of a tractor-trailer, instantly killing all three adults. The three children in the backseat were sleeping at the time and received minor injuries. Mansfield was only 34 years old. After Mansfield’s funeral, LaVey hosted a memorial service at the Black House to celebrate her life. We may never really know the depth of LaVey and Mansfield’s relationship, as their legends outlived them. Kristin Thomas is a freelance journalist currently residing in the port city of A Coruña, Spain. She studied has a keen interest in pre-1970’s pop culture, history of occultism, and the obscure.